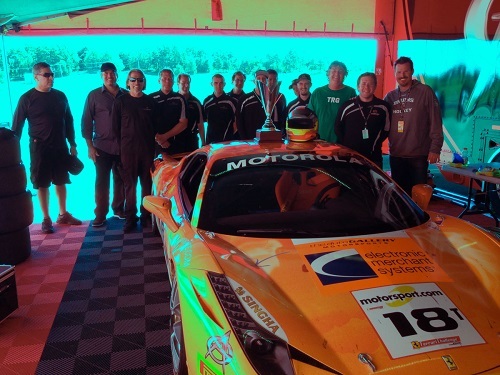 Racing to raise awareness for PETA and a number of other charitable organizations, EMS Racing recorded a 4th place and 2nd place finish this weekend at the Ferrari Challenge. Below is an excerpt from Racers Drive recapping the action. To stay updated with EMS Racing, who will be back on the track next month to raise awareness for its charitable partners, be sure to follow @EMSraceteam.